The University of Liverpool is leading a £3 million European consortium to develop the use of particle beam therapy for treating cancer. The `Optimisation of Medical Accelerators’ (OMA) is a research and training consortium involving 24 institutions from across Europe. It will train 15 early stage researchers to carry out research into the treatment facility design, numerical simulations for the development of advanced therapies and novel imaging techniques. 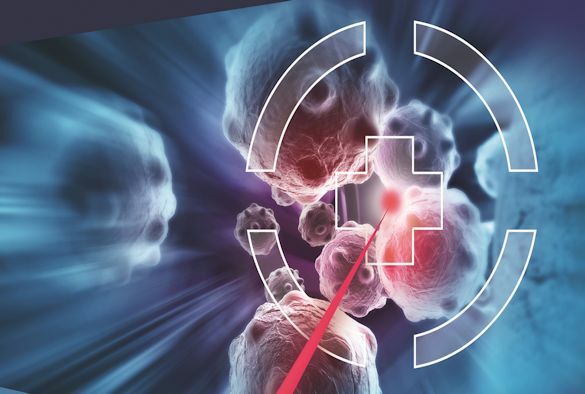 Although significant progress has been made in the use of particle beams for cancer treatment, extensive research is still needed to maximise healthcare benefits. Professor Carsten P. Welsch from the University’s Department of Physics, based at the Cockcroft Institute, will coordinate the consortium. He said: “The field of particle therapy has steadily developed over the last six decades, first in physics laboratories, and starting in the late 90’s in dedicated clinical installations. “OMA will push the limits in treatment facility design, imaging techniques and treatment optimisation through advanced numerical studies. The University of Liverpool has a proven track record in the coordination of large scale European networks through the successful completion of the DITANET, oPAC and LA3NET projects. OMA will directly build up on the experiences gained within these earlier initiatives and train the next generation of medical accelerator experts. Professor Welsch added: “I am absolutely delighted that this collaboration has been funded. In close collaboration with our project partners we will provide a broad and interdisciplinary training programme to our Fellows to develop them into outstanding researchers.